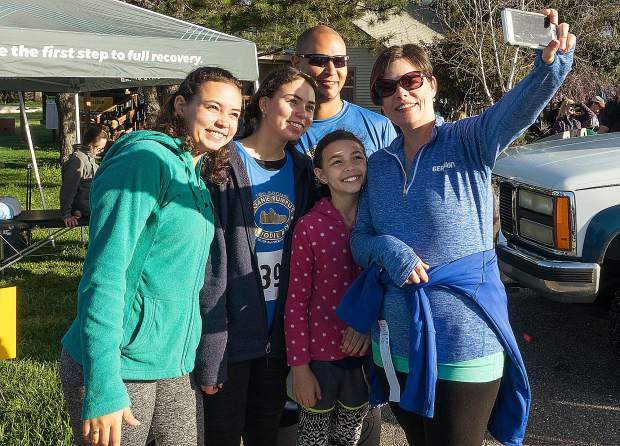 The Fuentes family -- Sierra (15), from left, Olivia (12), father Edwin, Sofi (8) and mother Amanda -- snaps a selfie Sunday at the 18th annual Daffodil Run 5K, 10K, and walk at Western Gatewy Parkin Penn Valley. 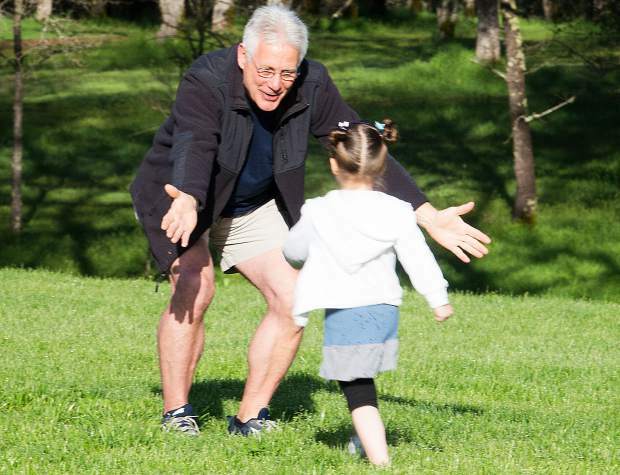 Mark Erickson greets a young runner in the children's run at the 18th annual Joanie Bumpus Daffodil Run Sunday morning at Western Gateway Park in Penn Valley. 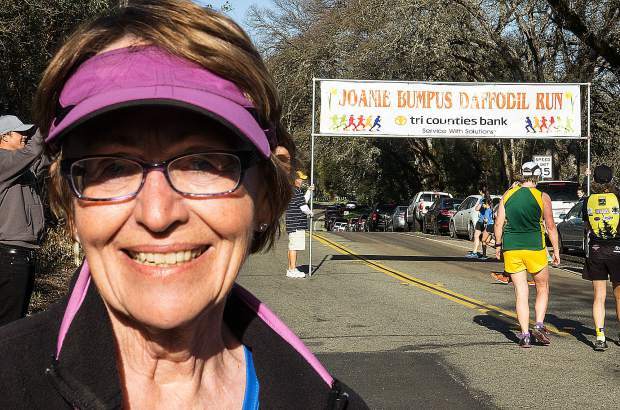 Joanie Bumpus is the founder of the Daffodil Run, run for the 18th time Sunday. 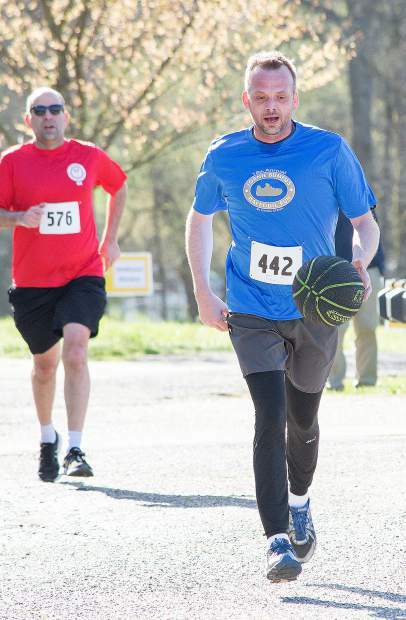 Photo by John Hart The Joanie Bumpus 18th annual 5K, 10K, and walk, Daffodil Run, Sunday morning, Western Gateway Park, Penn Valley.Eli Gallup 42, Nevada City, bounce the basketball on the 5K run. 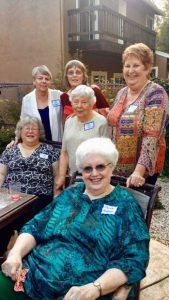 Photo by John Hart The Joanie Bumpus 18th annual 5K, 10K, and walk, Daffodil Run, Sunday morning, Western Gateway Park, Penn Valley. 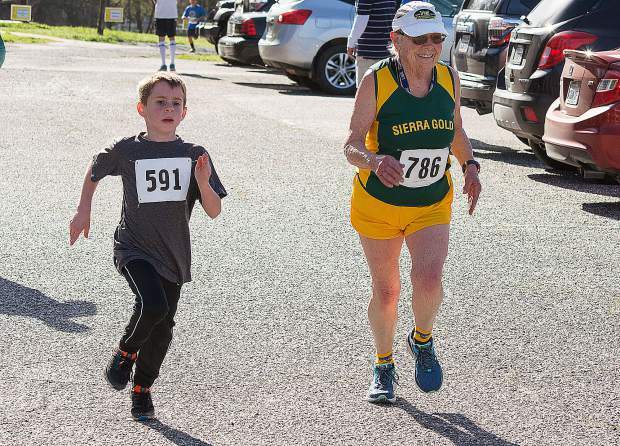 Eric Romeo 7 years, Penn Valley(l) and Lynne Hurrell, 83 years from Grass Valley running to the finish line of the run.